UNIVERSITY PARK, Pa. — Dan Russell, professor of acoustics at Penn State, is the recipient of the Acoustical Society of America’s (ASA) 2017 Student Council Mentor Award. According to the ASA Student Council website, the award recognizes a person who has demonstrated exceptional ability in guiding the academic and/or professional growth of his/her students and junior colleagues. Nominees must demonstrate success in assisting research and publications, exhibiting interpersonal and motivational skills, and promoting career development. Russell was hired by the graduate program in acoustics at Penn State in 2011 to coordinate the acoustics distance education program. He teaches graduate-level courses in acoustics and vibration to both resident and distance education students. Since joining Penn State, Russell has mentored 40 graduate acoustics students, by serving as their thesis or capstone paper adviser or dissertation supervisor. Prior to accepting his acoustics faculty position at Penn State, Russell was a physics professor at Kettering University in Flint, Michigan, for 16 years. At Kettering, he taught introductory and advanced physics to all levels of undergraduate students; taught acoustics and vibration to junior and senior engineering and applied physics majors; and advised more than 35 undergraduate thesis students. Russell also developed an acoustics laboratory that is currently used for faculty and student research projects, and an advanced undergraduate laboratory experience in acoustics and vibration. 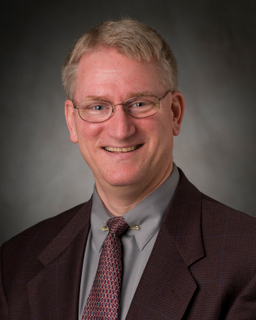 Russell is a member of the ASA, the American Association of Physics Teachers, the Audio Engineering Society, and the Institute for Noise Control Engineering. The Acoustical Society of America was established in 1929 to generate, disseminate and promote the knowledge and practical applications of acoustics. The society currently has more than 7,500 members who serve the acoustics community in all branches of acoustics, both theoretical and applied.